The Daughters of Eccentricity* are two Melbourne ladies called Caroline and Amy who grew up in the 80s with quirky parents. Unsurprisingly, we have become quirk-tastic parents ourselves. We take a positive, progressive and, dare-we-say it, feminist approach to modern parenting. Here we document our daily musings on being a parent in 2014: the decade of the Supermum, Helicopter Parents, Yummy Mummies and all other kinds of competitive parenting practices. We’d love you to join us, and we look forward to learning a few things along the way. * Yes, it’s a Sons of Anarchy pun. We love puns. In the 80s, Amy was a little red-headed kid who wore Bubblegummers and daydreamed about being be a private detective when she grew up. She collected writing sets (and penpals) and busked with her recorder at Christmas. In the 90s, Amy was a serious teenager who dyed her hair black and wanted to be a writer when she grew up. Her bedroom walls were plastered with beautiful magazine ads and posters of Leonardo Di Caprio. In the 2000s, Amy was a Melbourne Uni Arts student, a travelling nomad, a blonde ad agency schlep, a brunette ad agency senior schlep and a travelling nomad again. In 2009, disillusioned with the schlepping, she went back to her natural hair colour and launched her letterpress business, Saint Gertrude. 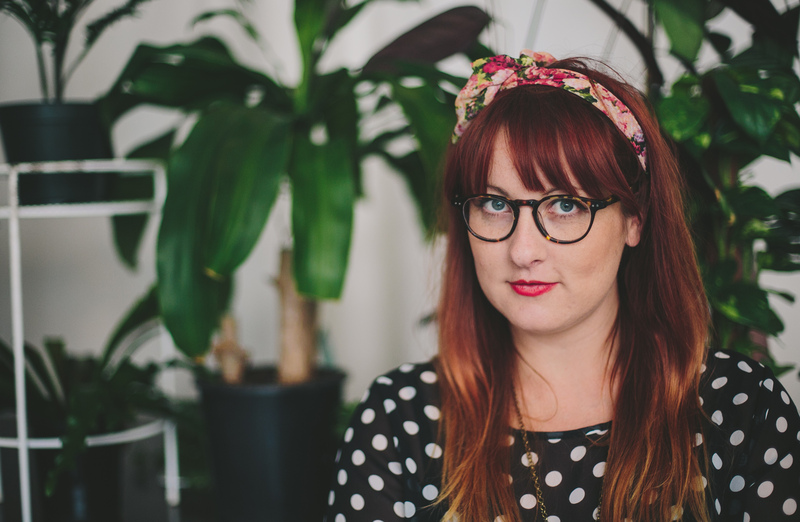 In 2014 she is a full-time redhead, designer and letterpress printer. She lives and works in her beloved Melbourne with her husband (John), daughter (Hazel), son (Freddie), cat (Henry), budgie (Bert) and an 800kg letterpress (Gordon). Caroline was that kid who wrote letters to her grandparents in long form, with her language heavily influenced by the Malory Towers and Secret Seven series’, therefore characterised by an over-prolific use of the words “shan’t”, “one” and “treacle”. She dreamed of winning arguments with everyone, and from an early age discovered the back-catalogue of The Beatles (clearly the popular choice in the early 90s). Her teens have never been documented, but she can confirm that her hair was, at different times, pink, blue and black. In her early 20s, she studied Arts of some kind or another, made the big move from Perth, WA, worked as a Copywriting schlep and in various Marketing roles (in the music industry and out), then headed into the Corporate world to make some money like all a good little capitalist. After some serious soul-searching, travelling and crafting she decided that her combined talents (excluding faux tap) meant that she could actually hold her own in the real world, and so she quit her full-time capitalist job and started her own events styling + planning business, The Creative Type. 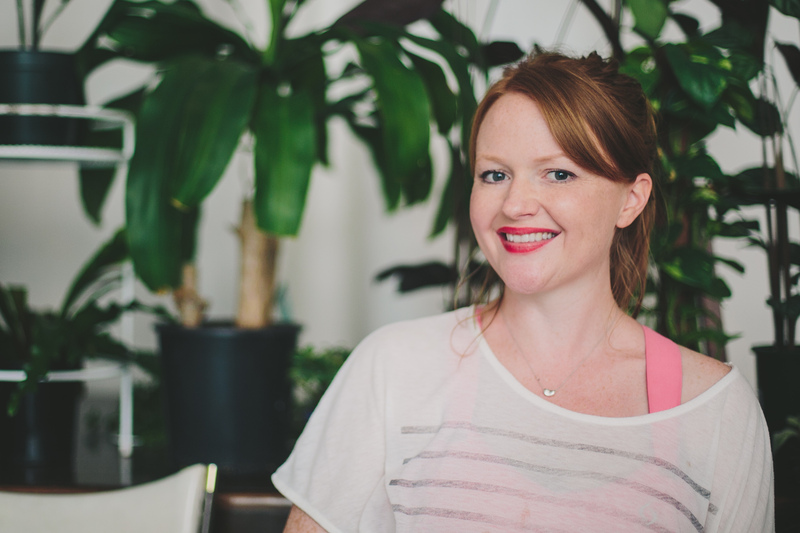 In her spare time, she also writes/coordinates for Polka Dot Bride, spreads joy in Kikki-K Happiness and DIY workshops, and has a regular date with her sewing machine. She also moonlights as an actor on stage and on TV. She is a proud inner-Westie and lives with her husband Adam, son August and dog Molly.